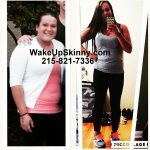 In our Philadelphia medical weight loss center we try to provide the best FDA approved weight loss medications, appetite suppressant medications diet pills weight loss pills and of course we do use the vitamin B-12 injections and instruct you are patients in good solid nutritional plans and exercise plans to help you lose weight and achieve your health and wellness goals. And every time I am talking with one of our patients I am always getting feedback as to what they are trying to do; either burn extra body fat, told their muscles up a bit or you may be trying to burn fat and build muscle at the same time. And of course I’m always getting requests from our patients for certain types of recipes, some patients might ask for extra smoothie recipes while others might be asking for more recipes on low carbohydrate recipes or just low-calorie recipes. For the past couple weeks everyone has been asking me for more smoothie recipes. It seems that our weight loss patients are looking for recipes that are quick and easy to make and going to provide them with lots of good healthy powerful nutrition. And also help satisfy their hunger and cravings. So with that being said, today I am giving you some really great smoothie recipes loaded with vegetables and fruit that should provide your body with a tremendous amount of healthy nourishment and help satisfy your hunger and your tastebuds at the same time. Now, please be aware that for beverages in the smoothies I used different types of nut milks, and if you are allergic to nuts you definitely do not want to use these beverages you can use any other type of beverage to replace them. To make it nice and easy you can use water. I am going to give you some on additional ingredients you can add to any of these smoothies. For extra protein you can use a low-carb low sugar type of protein powder such as our solutions for awesome fantastic wonderful protein powder meal replacement powder, hemp seeds, grass fed gelatin and way. For healthy fats you can use coconut oil, flax oil, coconut butter, avocados, Chia seeds, flax seeds, and extra nuts and seeds. And here are some additional flavor boosters and super foods that you can add to the smoothies as well: Chia seeds, fresh ginger, hemp seeds, acai powder, cacao or cacao nibs, maca powder, ground flax seeds, spirulina, bee pollen, shredded coconut, cinnamon, vanilla extract, vanilla bean, chlorophyll and lucama powder. Lots of these ingredients can be purchased at your local supermarket and especially at your local health food store. This entry was posted in diet doctors, Diet Doctors in Philadelphia, Medical Weight Loss, Medical Weight Loss in Philadelphia PA, Weight Loss, weight loss philadelphia and tagged Medical Weight Loss Philadelphia, weight loss philadelphia on May 19, 2017 by Dr. Michael Kenny.